Kodaikanal Tour Packages from Kodaikanal Planet, a division of Holidays DNA: A break form the hustle bustle of day to day life is something we all look forward. 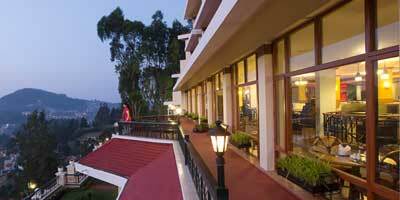 What can be better than a hill station offering some secluded time and a refreshing setting? Kodaikanal with its mesmerising natural setting and pleasant climate makes for an amazing vacation. And Kodaikanal Tour packages are the best ways to ensure you have enjoyable time on your Kodaikanal tour. 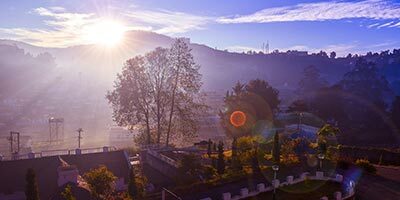 Tour packages for Kodaikanal offer tourists an easy and hassle free option to plan their tour without having to worry about arrangements access to facilities. Tourists with the help of a suitable Kodaikanal package can have a vacation in exactly the way they want. A destination and the holidaying options offered there can be enjoyed only if you have a comfortable staying and facilities you require. All this and much more are possible by going for tour packages. Kodaikanal Planet which is division of Holidays DNA is a reliable one stop for your entire Kodaikanal trip. With the help of our efficient and highly qualified experts, we promise a memorable holiday and best of the services to all our clients. Kodaikanal tour packages offered by us caters to various kinds of tourists and their different visit purposes such as adventure tour packages, family packages, honeymoon packages, business tour packages, etc. There are also the options of customised tour packages to Kodaikanal catering to various requirements and specific needs of our customers. Tourists can specify the duration and budget of their tours and we at Kodaikanal Planet present them with the best possible option available in the market. We strive towards getting the most suitable and best discounts on Kodaikanal packages to our clients and work by giving utmost importance to our clients comfort and convenience. Kodaikanal Tour packages by us cover travel related all the aspects possible. Our Kodaikanal package offer tourists with various choices to select from. Some of these are various kinds of accommodations ranging from budget hotels to villas to resorts to cottages, trip to famous tourist spots, varied choices on transportation modes (airway, railways and roadways), booking of the tickets, and access to the basic facilities on the hill station, etc. At Kodaikanal Planet we also offer tourists with genuine suggestions, detailed and updated information on Kodaikanal such as on aspects like the best time to visit, activities to do, places for eating out, commuting within the hill station, climate of the hill station, expected tourist behaviour and culture of the place, etc. Kodaikanal tour packages presents its tourists wide range of options varying from lakes to rocks to waterfalls to adventurous trekking routes to temples to caves to museums. Along with amazing sightseeing options, the place also has good opportunities for adventure sports. Situated in the Palani Hills of Tamil Nadu at the longitude of 77.5 and latitude of 10.2, Kodaikanal, enjoys a good location as well. And thus can be reached easily without much hassle. With a right kind of Kodaikanal tour package tourists can be sure of having few memorable days with their loved ones.